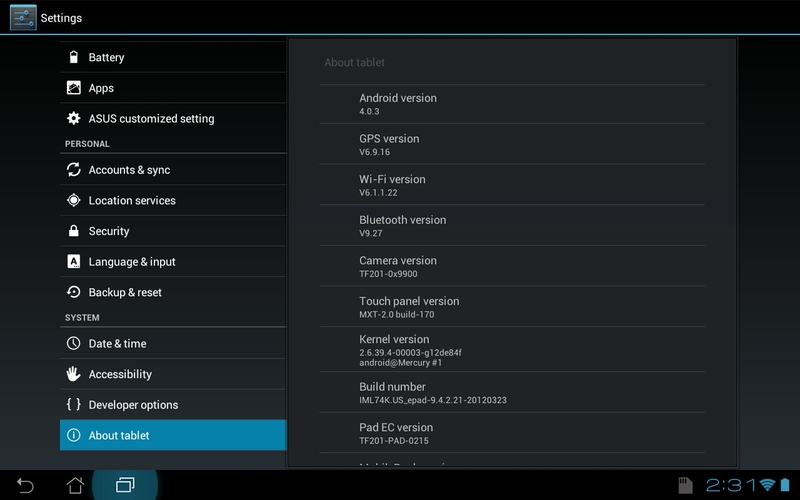 The update to the Transformer Prime that was talked about yesterday is officially rolling out to the device. 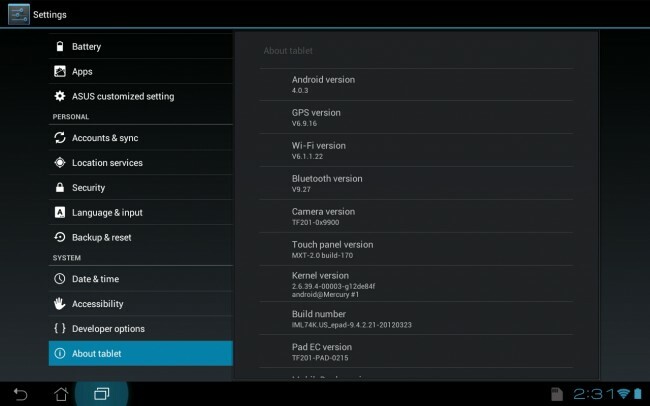 According to previous reports, build 9.4.2.21 was intended to be a pretty awesome update and would include face unlock, lockscreen notification controls, and Asus Vibe would get a bump up to version 2.0. Everything seems good, except that face unlock is still not there. Might be a problem for some, but I doubt there are too many people who can’t live without the face unlock feature. Go pick up the update and let us know if you see anything else worth noting that wasn’t already listed in yesterday’s breakdown. Cheers Brian and everyone else!